Classic take on a science fiction staple subject! 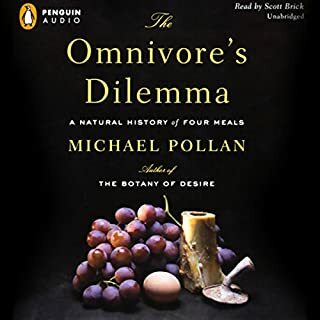 The Piper sic-fi classic sums up the philosophical question of what does it mean to be "sentient", and what we really mean when we attach "sapiens" to our genus "homo". 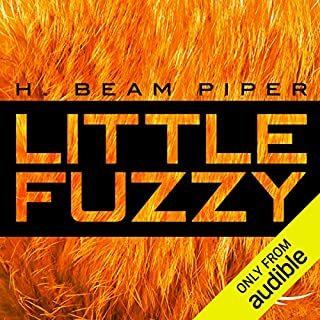 By focusing the novel on the struggle by compassionate humans to designate a species of alien on a colonized planet, Piper opens up a forum to speak on how we determine whether species are first or second class, and deserving of rights on an equal basis with humans. If the Enlightenment tells us that "Man is the measure of all things", how does this get complicated when we move out to the stars? On the idea level the novel works, in setting up a context for discussion of sentience and rights, while blending in elements of corporate greed that frame the discussion. The working out of the plot, however, is just too facile and easy, as if the question is easily answered in favor of the Fuzzies based on a shared intuition of fairness. Ganim's variety of voice and accent helps spice up the story, and make it relevant to today's audience.